I love train travel and it is always my preferred method of transportation for many reasons. The ability to sit back, relax and enjoy the scenery in a comfortable seat in a railway carriage has got to be the best way to travel. I have been on some of the great rail journeys around the world although still have quite a few on my bucket list. I also love sleeper trains though admit they are not always the most comfortable method of travelling. 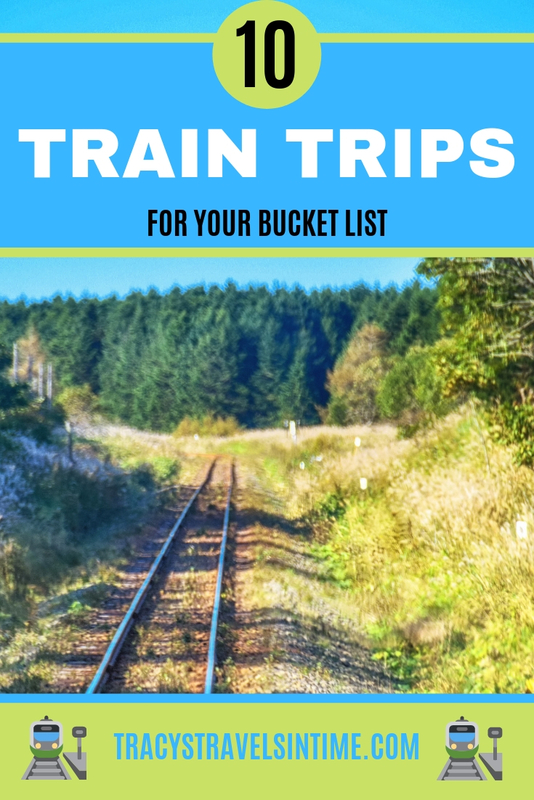 This list of top 10 amazing train journeys around the world includes some of the most luxurious trains but are also scenic shorter trips that can be more affordable for most travellers. 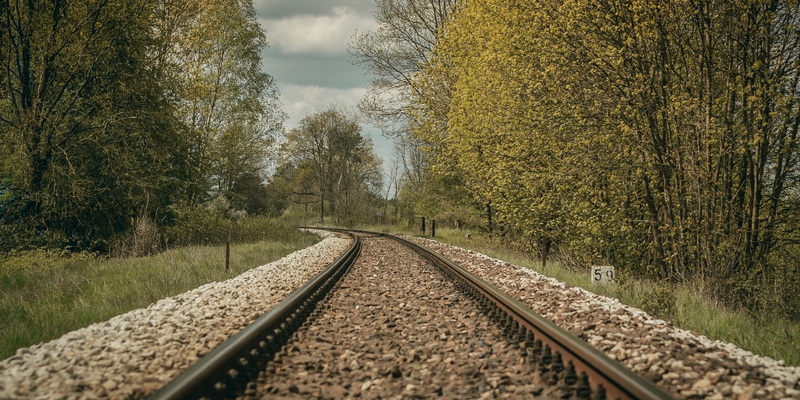 Here are the my first 5 choices for the best 10 railway journeys around the world? To take a trip on the Ghan is at the top of my bucket list. This epic journey across Australia takes you 2979 kms from coast to coast (Adelaide to Darwin and vice versa) and across the red centre of this amazing continent. There are a number of options to take on Southern Railway’s Ghan train service including the epic Ghan Expedition which takes 4 days and 3 nights to cross the continent. Imagine that? Well yes I can and I cannot wait to take this train. 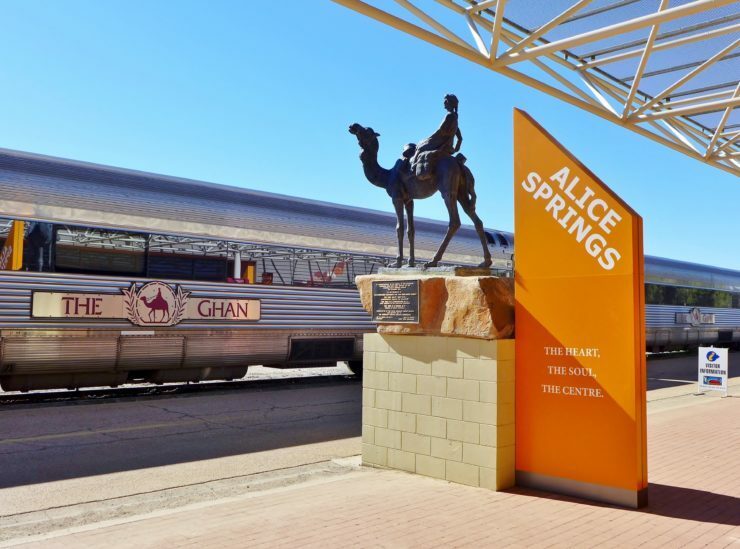 The Ghan’s symbol is the camel and its name comes from the epic camel riders who blazed a trail into the red centre of Australia over 150 years ago. To find out more about The Ghan check out their website – I look forward to the day when I can write up my experience of taking this epic train. Mention beautiful train journeys and countries that spring to mind always include Switzerland. For good reason – the scenery in this beautiful Alpine country is breathtaking. I have taken many train journeys in Switzerland and have quite a few favourites including catching the train from Geneva to Zurich (Lake Geneva is gorgeous), the cog railway up Mt Pilatus and taking the train from Zurich to Milan. However famous train journeys include the Glacier Express, the train journey to the Top of Europe and of course the Bernina Express. A few years ago I took the Bernina Express from Tirano in northern Italy to Chur in Switzerland with my niece. The journey takes about 4 hours and is one trip where sitting back sipping a glass of prosecco whilst passing through some of the most beautiful scenery in the world is a must. To find out more about the Bernina Express and other panoramic rail trips available in Switzerland read my post all about our experience as well as the Rhaetian Railway website! Why not include a trip on the Bernina Express into your Europe train trip itinerary? Stops along the route Pretoria to Cape town include a visit to Kimberly where you can peer into the Big Hole and visit the Diamond Museum! If you are in Cape Town read my insider’s guide for the best things to do and see when you are there. 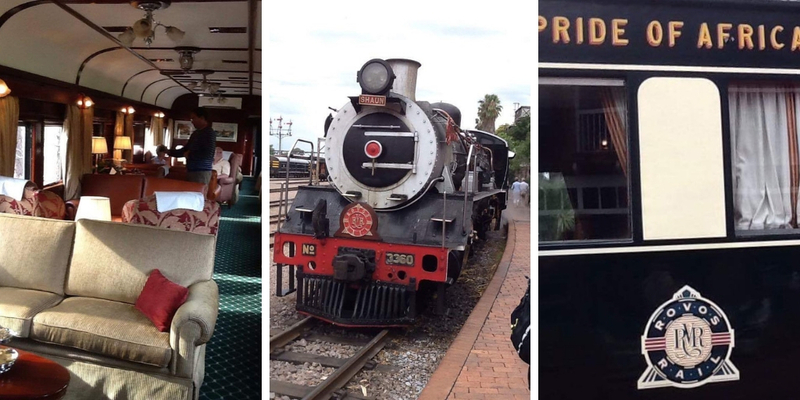 Check out the Rovos Rail site to book this amazing experience. 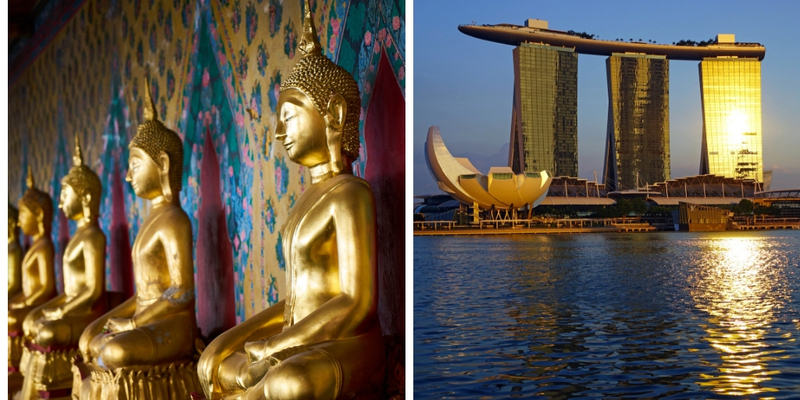 Another classic journey is the Eastern and Oriental Express train service which runs between Bangkok and Singapore. Crossing from Thailand through Malaysia before finally entering Singapore (or vice versa) this trip is synonymous with luxury where the train itself is as much a part of the experience as the journey! Stop off at the River Kwai and also in Georgetown Penang on the trip of a lifetime. Read more about this trip here! I make no secret of my love for Norway! 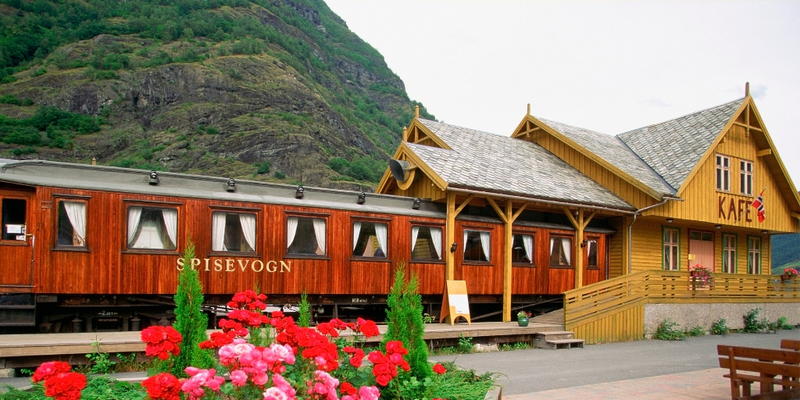 One trip that should be on any train lover’s bucket list is the stunning journey between Flåm and Myrdal. Make sure to experience the beautiful boat journey from Gudvangen to Flam along the magnificent Sognefjord and Aurlandsfjord before catching the train from Flåm up to Myrdal. The return train journey takes about 2 hours and you will see magnificent waterfalls, mountains and the fjord landscapes on your trip. To find out more about the Flamsbana check out their website. For my 5th choice in my top 10 railway journeys around the world I have chosen the Caledonian Sleeper. We took this sleeper service a few years ago but since then the stock has been updated and therefore this journey remains high on my re-do list. We wanted to go to Fort William but unfortunately the line had been damaged following a massive storm so we travelled from Euston to Inverness but what a trip it was! Waking up to stunning Scottish scenery will be an abiding memory. If Fort William is your destination depart Euston at 9:15 pm and arrive in Fort William at 9:55 the following morning. First Class (your own room and single bed), Standard Class sleeper room with twin beds (we took this) and a standard sleeper seat are options on this service. 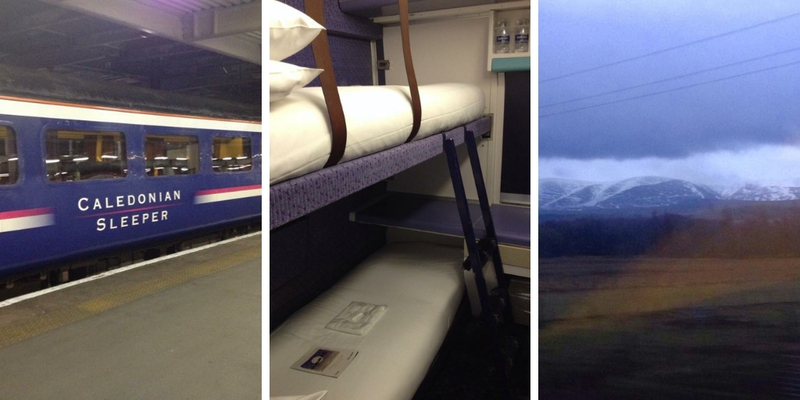 Check out the Caledonian Sleeper website here! 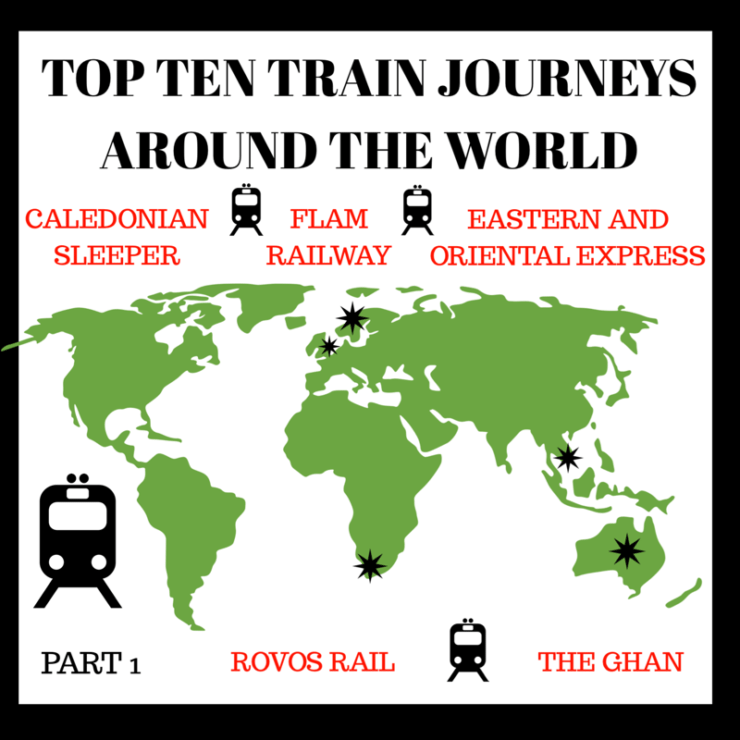 Those are my first 5 choices of top 10 railway journeys around the world! Have you traveled on any of these services? Do you have a favourite that is not on my list? Maybe it made it onto my final 5 choices – CLICK HERE to find out which train trips I picked for the final 5! 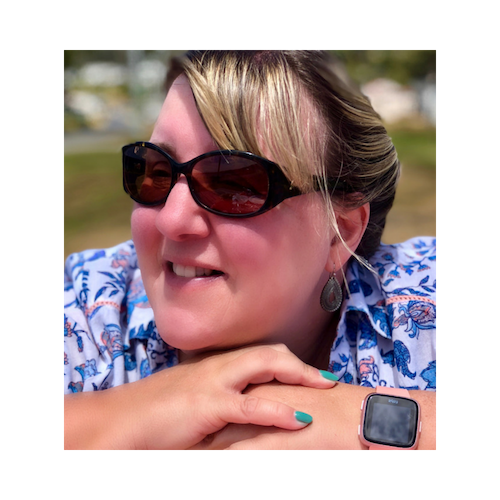 These train journeys look amazing, Tracy! You have to do the Flam railway Jurga! Lonely Planet voted it the most picturesque rail journey a few years ago! Ah yes the trans-Siberian/trans-Mongolian is in the next 5! So many great journeys to choose from! Me too! We love train travel! I would do those routes that way too but included the luxury trains as they are part of the experience (my Mum does those ones lol!!) 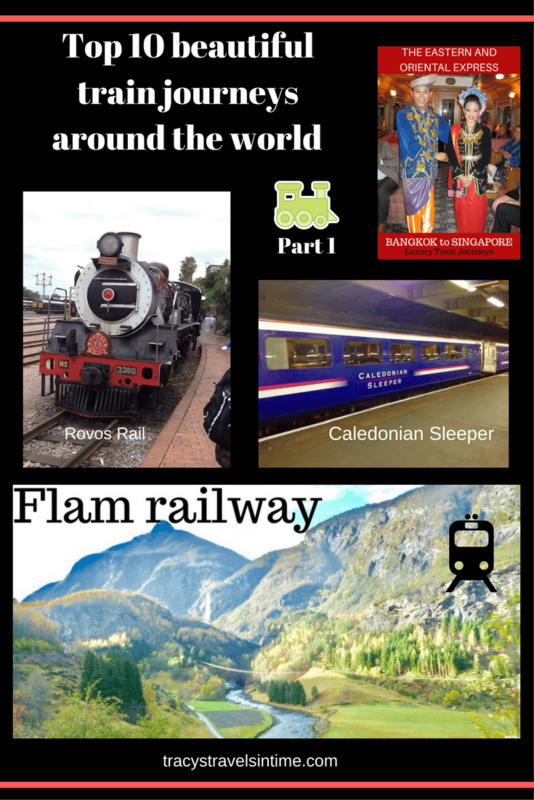 We have taken the Bernina and Caledonian and Flam railways and loved them! The Ghan is the top of my list!! You have also mentioned 2 that will be on my next post! Its so is Clare!A wonderful way to travel! Ooooh have a lovely time!! It is a great trip! These all look amazing! Where I’m from we rarely travel by train, so I’ve always dreamed of the epic train journeys I saw on TV! The only real train travel I’ve ever done is in Japan, but I’m definitely hungry for more! I would love to take the bullet train in Japan! On our list! Us too! We want to travel as much as possible by train and have some of these as must-dos! We have driven along the Ghan route and often quite near to its tracks but unfortunately didn’t see it first hand. It would be a fascinating journey just like the others on your list! Rail travel is something I have always loved but need to do more of! It is my number 1 on my list and hope to take it one day! I love train travel so it is always my method of getting from A to B if I can (not keen on flying!) – we would love to take the overnight sleeper to Chiang Mai! How was it?? There are lots of trips that are just dreams for now but perhaps one day!! The scenery is breathtaking1 I really need to get myself to Australia and take about a year exploring it! I also love riding trains so this is just the perfect list to follow. 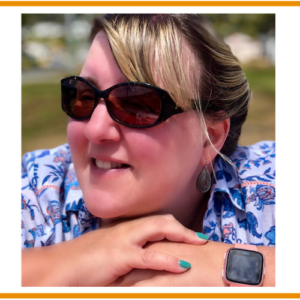 Truly enjoy reading this Tracy thanks for sharing! I never really think about train travel as anything more than getting from A to B although that could be because most of my train journeys have been the same home-uni route with not a lot to see… Maybe one day I’ll take a luxurious sleeper train and change my mind! Thanks for sharing your experiences! Thanks Annalise! Definitely try to take some of these trips if you can! Thanks Stephanie – hope you get to take some of these! They are pretty amazing Sarah! We took the Flåm railway in Norway several years ago, and really enjoyed it. But my the other four look so good too. 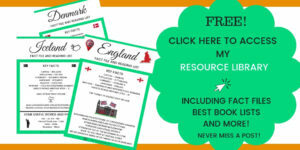 Scotland and Switzerland would top of my list! Thanks for sharing! Thanks Annette!They are great trips! This list is awesome Tracy. The Glacier Express and Bernina express are on my to do list. I didn’t know about the Norway train journey, but I now want to do that too. I am looking forward to part 2! Thanks Sam! We had great fun choosing our favourite trips! Even though it takes longer I don’t mind travelling by train. Always fancied doing the Ghan in Australia but its crazy expensive at the moment. A few years back I took the train from Casio in NSW to Melbourne and back for a fraction of the cost. Yes we have been checking out the cost – much cheaper if you book in Australia as much in advance as possible but its still a once in a lifetime trip I think! I’ll be passing through Italy this autumn, you may have tempted me to take the train from Milan to Zurich. Last year I did take the regular train from Innsbruck, Austria to Liechtenstein (by bus), then to Zurich and some of the scenery was absolutely stunning. I’ll check out the Caledonian Sleeper website as I’m planning a trip to Edinburgh and Glasgow this summer. So many amazing train journeys around the world! Totally! I love any train travel so its with great excitement we book any trip involved trains! Lol Shona yes it is! That can’t be missed off top train journeys! Hopefully we will get to try the Ghan soon! The romance of train journeys is irresistible. Love all of these iconic rail journeys. Of course, nothing to beat the scenic trains of Switzerland, my favourite. The Rovos Rail looks like it’s straight out of a Harry Potter book! Love the old style looking trains. I would love to travel on a train with breathtaking views. Thanks for compiling this list so I can find one that really speaks to me. Looking forward to Part 2! I need to get working on part 2! So many great train trips to take!